Jon Ossoff won the GA-6 June 20 runoff Mail-In Vote 64% to 36%. Some speculated that it was because his campaign had promoted mail-in voting among supporters. 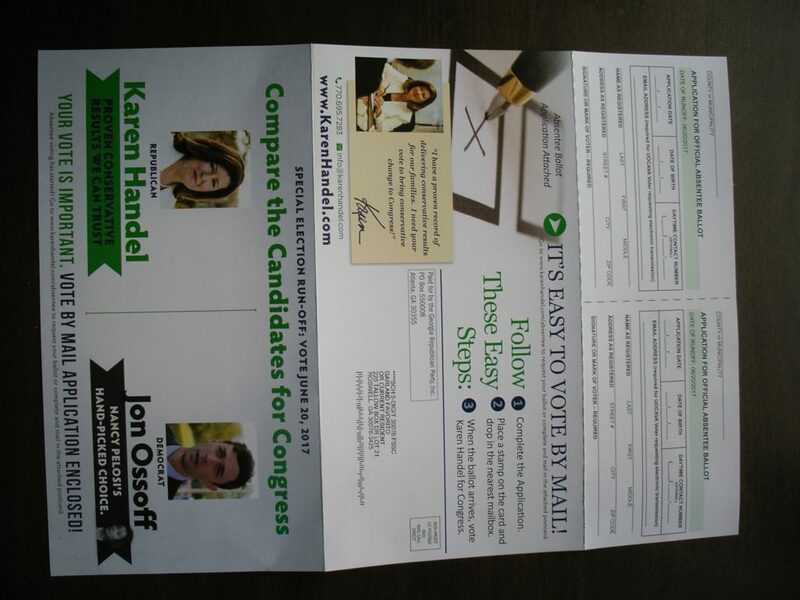 No Ossoff campaign literature linked to mail-in voting could be found, but the above flyer was sent by the Handel campaign.